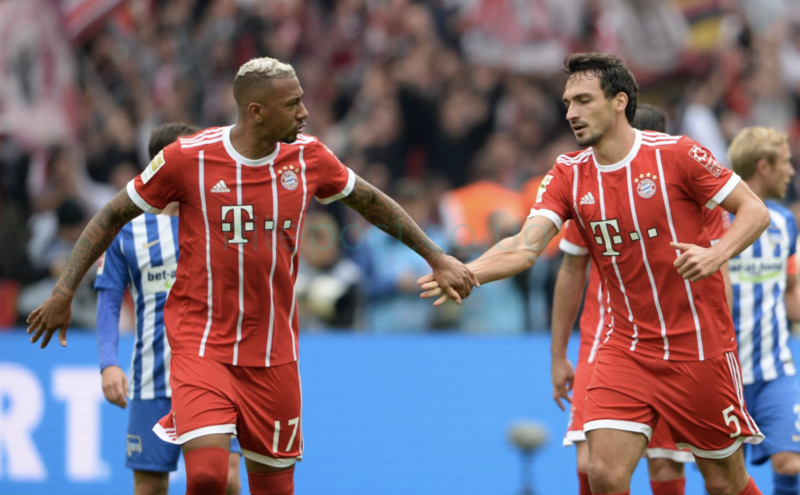 German International Defender, Jerome Agyenim Boateng, is on the verge of joining PSG as reports in France reveal the Ligue 1 Champions are ready to make an estimated €50 million to Bayern Munich. This coincides with emerging reports in Germany which indicate the 29-year old has been made available by Bayern to potential suitors, just if the offer comes right. According to sources in France, the clubs are already in “advanced talks” that could be completed before the end of this week, while others estimate faster proceedings. It appears new Manager, Niko Kovac is set to change a few things around his team with a few ins and outs ahead of his first Bundesliga season, and Boateng is most likely the next on his outs list. According to reports in Munich, selling Boateng would likely be divisive move among the Bavarian football faithful. However, it appears Kovacic is ready to trust 22-year old, Niklas Sule to fill the void after 1-season since arriving from TSG Hoffenheim in 2017. Plans for Boateng’s exit grew bigger after the loan signing of American youngster, Chris Richards from FC Dallas, who is expected to be Sule’s understudy as he partners Mats Hummels next season. If Boateng leaves, he will join Daglous Costa, Niklas Dorsch, Felix Goetz, Fabian Benko and Tom Starke who have already walked out of Bayern this window. Boateng joined Bayern from Manchester City in 2011 where he has won 6-Bundesliga titles and 1-Champions League, including being voted Footballer of the Year in Germany in 2015–16.